DEPUTY Prime Minister Barnaby Joyce is facing fresh questions over his salary and working arrangements with former media adviser Vikki Campion, after the Nationals rallied around the embattled MP. Mr Joyce is set to serve as acting Prime Minister next week when Malcolm Turnbull travels to the US on an official visit, however he is facing a range of queries about his expenses and relationship with Miss Campion, who is now pregnant with his child. 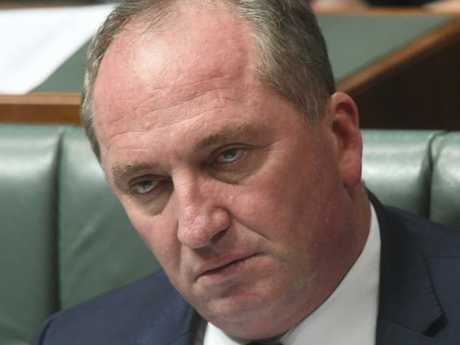 Fairfax media reports grassroots Nationals members paid the bill through party funds for Mr Joyce's salary for six weeks during the by-election campaign following the dual citizenship crisis. The newspaper group claimed Mr Joyce's office confirmed he was paid a salary during the campaign, but denied it was the same rate as his $416,000 a year parliamentary job. Mr Joyce has been contacted for comment. Vikki Campion is expecting a baby in April with deputy PM Barnaby Joyce. It comes as Mr Joyce faces questions over his living situation and expenses during his relationship with Miss Campion amid concerns taxpayer funds may have been misused. On Wednesday, Labor demanded to see details of taxpayer-funded flights taken by Mr Joyce and Miss Campion. His use of a rent-free apartment in Armidale, where he lived with his former staffer following the end of his marriage, was also raised in parliament. Mr Joyce has declared the house on his interests register, but said it was given to him as a gift from a personal friend when he was not an MP. "It's on the record and it's there for you to see," Mr Joyce said on Wednesday. However shadow treasurer Chris Bowen asked Mr Joyce whether he could advise first-home buyers "how they, too, can get a rent-free home in Armidale from their mates". His travel has also come under scrutiny with Labor senator Kimberley Kitching calling for details of "special purpose travel" and any international flights undertaken by Mr Joyce and Miss Campion. 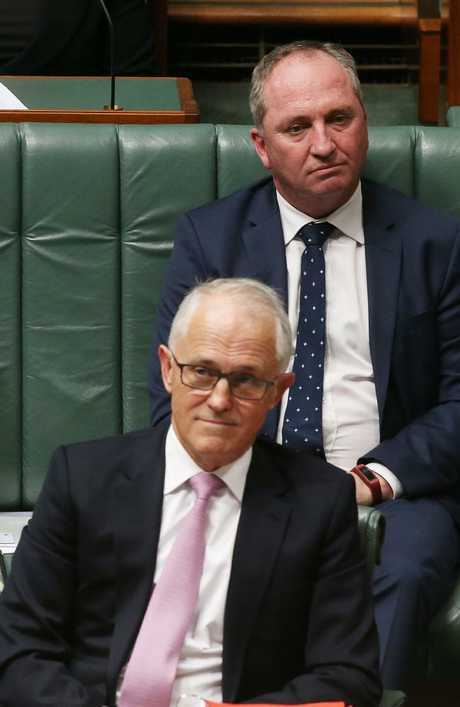 Mr Joyce has denied breaching the ministerial code of conduct, which says frontbenchers cannot employ "close" relatives or partners or get them work in other ministerial offices "without the prime minister's express approval". Deputy PM Barnaby Joyce will step in for Malcolm Turnbull when he is in the US next week. Meanwhile The Daily Telegraph reports Mr Joyce and Miss Campion continued to work together after she had changed jobs to work for new MPs. The newspaper also raised questions about Mr Joyce's travel to Canberra during a non-sitting weekend for which he claimed travel expenses. Mr Joyce has denied breaching the ministerial code of conduct. On Wednesday, the party's deputy leader Bridget McKenzie said: "I'll give you my solid, rolled-gold guarantee here that come tomorrow, come Friday, Barnaby Joyce will be leading the National party," she told Sky News. When asked if Mr Joyce's actions passed "the pub test", Senator McKenzie replied: "There's a lot of people in the pubs who actually understand." Australian Deputy Prime Minister Barnaby Joyce is facing a range of questions over his expenses and conduct. Picture: AAP Image/Lukas Coch.